Gozo Cabs operates India’s largest fleet of outstation cabs - 25,000+ cabs in 1000+ cities on its tech platform. Gozo Cabs, the leading provider for outstation taxi travel across 1000+ cities in India has introduced its ride-sharing service - Gozo Share, using which travellers can share taxi rides with others while travelling from one city to another. Gozo Share is the first-of-its-kind ride-sharing service. A best of the breed outstation travel service provider, Gozo Cabs has aggregated over 25,000 cabs on its tech platform and has already served rides in over 1000 towns and cities across India. It has enlisted verified and commercially registered vehicles and drivers on the platform who meet stringent protocols in order to offer a standardized, safe and reliable experience to outstation travelers. Unlike traditional peer-to-peer ride-sharing services and intra-city cab service providers, Gozo Cabs’ focus on outstation travel, ensures that their fleet of drivers are skilled at highway driving, familiar with routes and have the mindset aligned with traveling outstation on an ongoing basis. Gozo Cabs has launched Gozo Share with an inaugural price of INR 1 per seat, for a limited time. This inaugural offer is being rolled out to promote environmentally safe transport on the most popular routes first – Mumbai to Pune, Delhi - Agra, Bangalore - Mysore and Delhi -Jaipur. Gozo Share will be available in all major towns across India by the end of this year. Users availing Gozo Share can book their shared cab via the Gozo app, website or by phone. Gozo’s platform matches passengers travelling from point A to point B while enabling them to share the costs of the trip. Riders can pay via cash, digital wallets like PayTM, Mobikwik, debit/credit cards and pay-later platforms like LazyPay and ePayLater. Gozo Cabs offers travellers a bevy of cars across segments such as hatchbacks, sedans, SUV and Luxury. For Gozo Share, 3 to 4 passengers typically share a Sedan for their journey. All Gozo Cabs are AC cabs and come with the latest safety features, clean interiors, music system and luggage space, etc. For drivers on the platform, the app enables them to effectively monetize the rides by ensuring high occupancy across all routes. Using advanced data science and predictive analytics, the app also nudges drivers to move from low demand to high demand areas. “Being the market leader in outstation travel, our cab sharing service - Gozo Share is a natural progression to our offerings as we seek to connect the country with outstation travel. It serves the needs both of users, driver partners on our platform and the travel industry at large. It provides tremendous convenience and affordability for users who travel outstation often without having to sacrifice comfort, at a price point that is often cheaper than a bus ticket. For the drivers it allows them to monetize their cab efficiently, besides this being an environmentally responsible way to commute. With the government’s thrust on improving the road network, Gozo Cabs intends to be a key player in providing a framework that makes intercity travel and tourism seamless and simple,” said Deepesh Arora & Sanjay Kumar, Co-founders, Gozo Cabs. “The transportation sector in India emits an estimated 261 tonnes of CO2, of which 94.5% is contributed by road transport. The Great Smog in Delhi last year was classified as a major health emergency. This is an alarm for India to wake up and smell the pollution. While outstation cab ride has traditionally been quite expensive, with Gozo Share we’re making it accessible to the common man. If we can transport 2-3X more people from one city to another by using the same number of cars running on the roads today then we can also make a significant impact on the air pollution, traffic levels and contribute to the travel footfall economies of those 2 cities.” added Deepesh. The Inter-city taxi segment is estimated to be a USD 12 Billion market in India, according to the Indian Angel Network (IAN). With changing transportation dynamics, a declining trend in car ownership and an increasing convenience seeking customer, cabs are becoming the preferred choice of travel for outstation riders. Gozo Cabs is India's leading provider of taxis for outstation taxi travel. 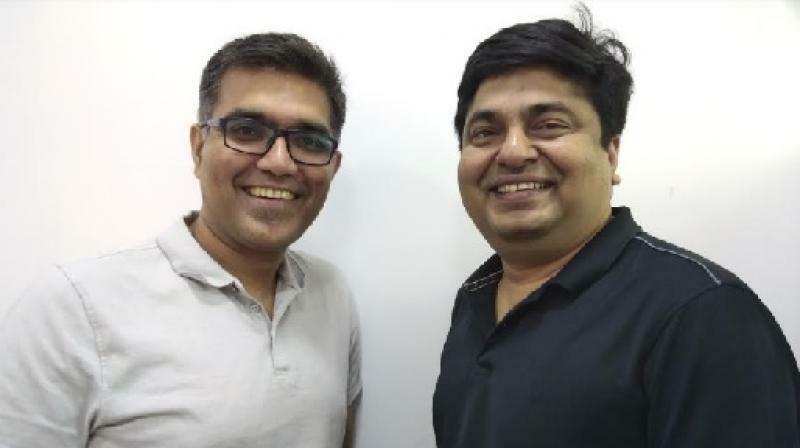 Founded in November 2015 by Deepesh Arora and Sanjay Kumar. With Gozo, consumers can book intercity/outstation cabs for one-way, round-trips, pre-planned packaged tours or even rail or airport transfers. Using a proprietary technology platform to aggregate taxis, Gozo is reinventing mobility beyond city limits, by matching travelers with cab drivers nationwide. Gozo’s technology is tailor-made for India and the travel needs of Indians, to capture and adapt to the mechanics of outstation travel - including varied pricing structures, tariffs, and tolls across the country. A deep understanding of these is translated into a simplified and transparent pricing model that works for taxi operators and customers. Gozo has brought pricing transparency into the outstation taxi market, enabled 24x7 nationwide service while making outstation travel in India simpler and more accessible to all involved. The platform leverages technology to maximize the utilization of cabs and enables customers to take one-way journeys and save 10-50% over having to pay for a round-trip elsewhere. Extensive use of technology has created a win-win for both traveler and taxi operators. Based on the ethos of transforming outstation travel, Gozo is committed to delivering consistent quality & experience aligned with fair pricing. To achieve this, Gozo Cabs trips are provided by pre-screened drivers, commercially licensed vehicles and are measured for customer satisfaction. Over 30% of business comes from repeat customers, underpinned by Gozo’s top-notch service quality. Prior to Gozo, there has been no centralized reservation system for booking outstation cabs anywhere in India, and that meant having to hassle with not-so-transparent prices, service reliability, availability and accountability. Gozo’s platform serves OTAs, travel agents, event organizers, hotels and corporates as a central reservation system for outstation cabs, backed by our 24x7 support, attractive fares and focus on a carefully selected, expansive travel operator network. Gozo’s mission is to gain customer trust and loyalty by delivering seamless reach, quality services, reasonable prices and relentless support to our customers and enable our taxi operator partners to maximize the utilization of their cabs. To know more, or to book a Gozo cab, please visit www.gozocabs.com.